Mohrs Income Tax in Peoria IL - Welcome to White Income Tax Service Ltd. Welcome to White Income Tax Service Ltd.
White Income Tax Service Ltd., previously known as Mohr’s Income Tax in Peoria IL, is still providing personalized financial guidance to local individuals and businesses. We promise the same professional dedication our customers found when we were Mohr’s Income Tax in Peoria IL. Each of our CPAs works hard to ensure every client receives the close analysis and attention they deserve, so our clients are fully prepared when tax season rolls around. Most importantly, we want our clients to know we still treat sensitive information and tax documents with security and confidentiality. Your privacy is our priority. We have been a staple of the area’s business community for years, and pride ourselves on the level of esteem we have earned. We believe this to be a direct derivative of our talent and responsiveness to our client base. Though our name has changed, much of our staff has remained the same. Our new owner, Dianna White, is more than just a business owner; she is a Certified Public Accountant as well! Diane was with the firm long before she retained ownership and she has chosen to maintain the same core values and standards customers have counted on for years. Whether you are a customer that stayed with us through the transition from Mohr’s Income Tax in Peoria IL or a new customer looking for top-notch tax management services, our doors are always open. Meet with Diane or any of our other professional accounting representatives. Call White Income Tax Service Ltd., previously known as Mohr’s Income Tax in Peoria IL, at (309) 674-3429 to schedule an appointment with a Certified Public Accountant today. 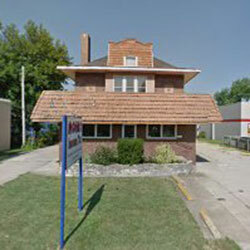 You can also visit our office, located at 431 N Western Ave, Peoria, IL 61606.